By the late 1990s rapid advances in the life sciences had culminated in the successful cloning of mammals, with the potential for the development of cures to major diseases. It also seemed to be merely a matter of time before a human being was cloned – a possibility declared repugnant to human dignity by the United Nations Educational, Scientific and Cultural Organization (UNESCO) in 1997. In 2001, France and Germany initiated a process in the UN General Assembly to negotiate an international treaty banning the reproductive cloning of human beings. 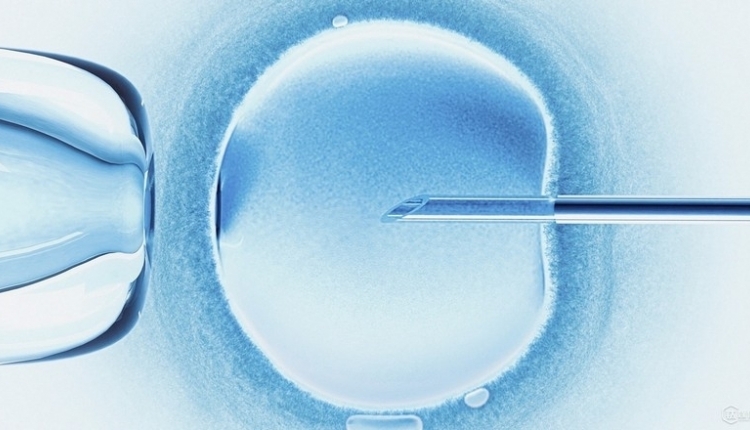 The three-and-a-half year negotiation that followed was intense and charged with religious overtones about the 'moral status' of the human embryo and the ethical and legal appropriateness of human embryonic stem cell research. Two distinct camps emerged: (i) those states, including the United Kingdom, favouring a narrow ban limited to cloning for reproductive purposes; and (ii) those, including the United States and the Holy See, insisting on prohibiting all forms of human cloning, including for 'therapeutic' purposes. The General Assembly ultimately adopted Resolution 59/280, containing the United Nations Declaration on Human Cloning, on 8 March 2005, by a recorded vote of 84 to 34, with 37 abstentions. The text of the Declaration calls upon member states both to adopt all necessary measures to protect adequately human life in the application of life sciences and to prohibit all forms of human cloning inasmuch as they are incompatible with human dignity and the protection of human life, while avoiding the distinction between cloning for reproductive as opposed to therapeutic or research purposes. Several countries pointed to the ambiguity of the text as a reason for not supporting the Human Cloning Declaration, including the United Kingdom (which stated that the reference to human life 'can be interpreted as a call for a total ban on all forms of human cloning'), China ('the Declaration's wording is too confusing'), Spain (which deemed that the term human life 'is imprecise and could be subject to various interpretations'), India (which voted against the Declaration 'because some of its provisions could be interpreted as a call for a total ban on all forms of human cloning'), and South Africa (which 'would have preferred much clearer language that would clearly permit therapeutic cloning'). UN Doc. A/59/PV.82, at 4-7 (2005). UN declarations are not binding but this is not to say that they are devoid of normative content. Given the almost universal representation of the United Nations, a common understanding at the international political level as to the basic policy position on a particular issue invariably exerts normative 'weight' on the subsequent development of binding legal rules. The fact that the Declaration has a certain normative value was cited by supporters of the comprehensive ban, including Costa Rica ('we have listened with concern as some delegations have understated the value of the new Declaration … we must recognize … the undeniable moral and political authority of its recommendations'), Nigeria (which 'cannot help but see it as only a stepping stone to a comprehensive convention on the total banning of human cloning') and the Libyan Arab Jamahiriya ('This is a step forward towards a future convention that would prohibit all forms of human cloning'). UN Doc. A/59/PV.82, at 8-10 (2005). Cast against a background of rapid developments in the science, the negotiations on the proposed ban on the cloning of human beings revealed significant differences in world view. The Observer for the Holy See said: 'Regardless of its purpose and goals, human embryonic cloning was an assault on the integrity of the human person. Cloning a human embryo while planning its demise would institutionalize the deliberate, systematic destruction of nascent human life in the name of the unknown and questionable "good" of potential therapy or scientific discovery.' UN Doc. A/C.6/57/SR.16, para. 50 (2002). For state supporters of research into the possible therapeutic applications of human embryonic experimentation, questions of the moral and legal status of the human embryo had to be balanced against considerations of, inter alia, freedom of research and the prospect of finding cures to major diseases. Ethical considerations were also referred to in support of embryonic stem cell research. The United Kingdom maintained that it would be 'indefensible to stop [stem cell] research and deny millions of people – and their families – the chance of new treatments which could save their lives'. A number of US and European medical and scientific groups expressed dismay over the adoption of the Declaration. It is important that a message is sent to the United Nations, making it clear that a declaration on human cloning for therapeutic reasons is needed. Currently, we need your help in putting political pressure on the United Nations body to establish a timetable for a declaration on human cloning for therapeutic reasons. The petition below calls for this essential declaration, so that progress in this promising medical research, the goal of which is to alleviate human suffering and to treat disease and disability, is not undermined by ideological and religious beliefs. The letter you are being asked to sign will go to each of the members of the UN Sixth Committee and to UN member states that support human embryonic stem cell research. We will also be sending this to other key UN persons of influence, such as UN Secretary-General, Dr Ban Ki-moon; the Secretary of the Sixth Committee, Ms Mahnoush H Arsanjani; as well as the President of the UN General Assembly, His Excellency Mr Jean Ping. Should you wish to support this action, kindly sign onto the letter with your name, e-mail address (confidential), and your country. In this way, we can include you as a signatory. We, the undersigned, urge the United Nations to establish a timetable for a declaration on human cloning for therapeutic reasons. As you are aware, the General Assembly of the United Nations adopted Resolution 59/280, containing the UN Declaration on Human Cloning, on 8 March 2005, by a recorded vote of 84 to 34, with 37 abstentions. The Declaration culminated an effort that had commenced in 2001 with a proposal by France and Germany for a convention against reproductive cloning of human beings. For three-and-a-half years a major confrontation took place at the United Nations between those states favouring a narrow ban limited to cloning for reproductive purposes, and those insisting on prohibiting all forms of human cloning, including for 'therapeutic' purposes. Not only was the Declaration adopted by a vote, it was carried only by a plurality (84 states), not even a majority, of states members of the United Nations. Moreover, the text of the Declaration is ambiguous in terms of calling upon states both to adopt all necessary measures to protect adequately human life in the application of life sciences and to prohibit all forms of human cloning inasmuch as they are incompatible with human dignity and the protection of human life. What started as a seemingly straightforward proposal soon ran into the cross-winds of the broader debate on the ethical and legal appropriateness of human embryonic stem cell research (including through the active participation of the Holy See), and there is no denying that the proposal of supporters of the comprehensive ban was based on the central idea that the destruction of a human embryo, even at its earliest stages of development and regardless of its purpose, amounted to 'killing' a human being. In our respectful view, the Declaration makes no distinction between the fundamental and well-known differences that exist between reproductive cloning and therapeutic cloning, and its wording can be interpreted as a UN call for a total ban on all forms of human cloning (noted by, among others, the United Kingdom, China, Spain, India, Japan and South Africa). With respect to therapeutic cloning we believe that, in the interest of science and the well-being of humankind, the correct option is to let states adopt at the national level moratoriums, prohibitions or strict regulations and controls in accordance with their moral, ethical and legal beliefs. We regret that the Declaration fails to reflect the stated positions of many states. Accordingly, we urge the establishment of a reasonable timetable for a UN declaration which would draw a distinction between reproductive and therapeutic cloning while specifically leaving it to UN member states to decide for themselves on therapeutic cloning within a regulation framework. The Consideration by the United Nations of a Declaration on Human Cloning for Therapeutic Reasons petition to UN Sixth Committee and UN Member States that support human embryonic stem cell research was written by Declan Heavey and is in the category Science & Technology at GoPetition.